The most common question adults ask when choosing a dentist is “Can you respond to my needs?” Whether it’s treating tooth decay, providing nightguards to prevent damaged caused by teeth-grinding, or protecting their kids’ teeth, parents are usually upfront about their needs. They’ll also visit the dentist’s website to learn more about their experience and background in helping specific demographics, especially children. Parents want to know if their dentist can catch early signs of tooth decay, alert them if their child needs orthodontic treatment, and if they need additional fluoride protections or dental sealants while their children start to hone their oral care technique. While cosmetic treatments like teeth whitening or porcelain veneers are convenient to have, they won’t come back if they don’t think the dentist can provide the care their entire family needs, not just their own. At first you may not think children know what they want when visiting the dentist. 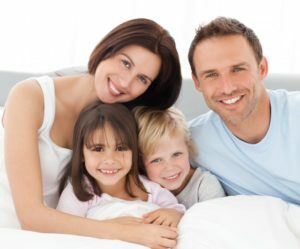 According to the typical family dentist in Newbury Park, children expect their dentist to be gentle, caring, and patient as they become accustomed to regular visits. At the end of the day, kindness is the most significant influencer for your child. A family dentist may also use additional incentives to get your child excited about dental visits, regardless of how difficult that may sound. They might include toys or video games in the waiting room that your child can play with or prizes for not having any cavities by the end of the visit. If your child thinks their recent visit was a positive one, then that’s a dentist kids want to come back to for care. Not only does the practice offer a wide array of services the whole family can take advantage of, but also do it with a strong attention to detail and dedication you won’t find at typical family dental practices. If you’re not sure if your child needs braces, our dentist can confirm it at a very young age, so you can start saving up for traditional, custom, or clear braces. We’ll also make sure if your child needs additional protection against gum disease and tooth decay with our incredibly effective dental sealants and fluoride treatments. Whether you’re a parent or child, choosing Paraiso as your dedicated children’s dentist in Newbury Park is guaranteed to provide a positive experience. We hope you schedule an appointment with us today and experience the difference a family dentist can provide! Dr. Gary Chaffee earned his dental degree from Loma Linda University School of Dentistry and has been practicing since 1975. He was first inspired to become a family dentist after viewing how well his own family dentist and orthodontist took care of his family. Now, he offers both all under one roof. To learn more about his practice and numerous treatments, contact him at (805) 480-0033 or visit his website.